In a scene typifying the overall tone of Lucifer, Stephen Nedumpally stands facing an armed villain. The bad guy has a gun pointed right at Stephen's forehead, while a bunch of others look on. Several slow mo shots, flying fists and mundus later, the hero has snatched the weapon, killed at least half a dozen men and with his bare hands grievously injured the rest of his foes who came at him not all together but in batches for his convenience as commercial Indian cinema's satellite villains tend to do. Stephen, it dawns on his arch enemy then, is no ordinary man. 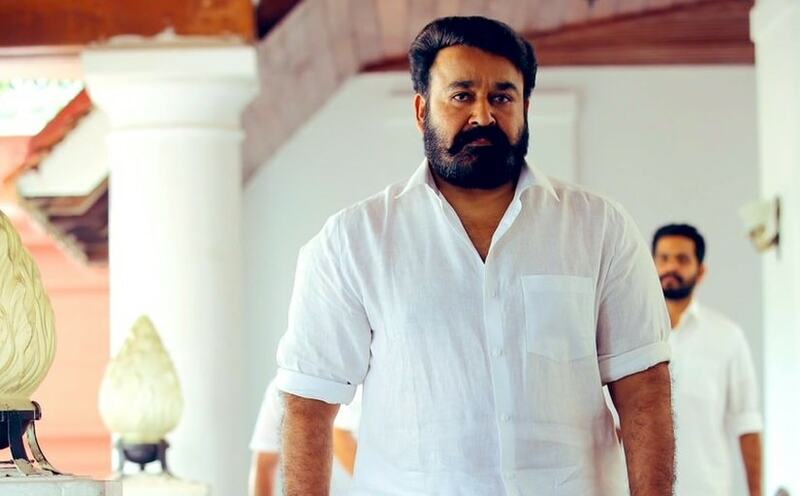 He is, after all, played by megastar Mohanlal, he who is deserving of a smashing entrance, a scaled-up soundscape and wise lines. Devotion to the Malayalam cinema legend is not Lucifer's only weakness. The film is equally hampered by a poor screenplay that fails to take its unusual premise forward and by pretensions to a gigantic scale that end up miring the entire narrative in clichés. As far as disappointments go, this one is a double whammy. Writer Murali Gopy most recently demonstrated his understanding of Kerala politics through Kammara Sambhavam (even if it unfortunately degenerated into a propaganda vehicle for Dileep). In Lucifer, which is set against the backdrop of politics in the state, though he begins and ends with an interesting take on the nature of evil, he flounders in between as the goal appears to become the creation of a grand epic rather than a soul-searching examination of the subject through relatable characters. As if that is not enough of a let-down, there is the fact that actor Prithviraj Sukumaran makes his directorial debut with Lucifer. Here is another one of his works that does not match the worldview and intelligence he reveals in his interviews. The story of Lucifer kicks off with the death of the veteran Kerala leader PK Ramadas, also known as PKR, resulting in a power struggle in his party and family. Among the many players in this game are Stephen who is the old man's foster child, PKR's daughter Priyadarshini (Manju Warrier), son-in-law Bimal Nair a.k.a. Bobby (Vivek Oberoi) and son Jathin (Tovino Thomas). In the background hovers a gun-toting mercenary called Zaid Masood (Prithviraj himself) and a video blogger played by Indrajith Sukumaran. Unless the director simply wanted to prove that he has the clout to rope in such a stellar assembly, the casting is inexplicable. Why would you gather some of Malayalam cinema's biggest stars across generations, fine actors to boot, and then waste most of them? Tovino Thomas gets an introductory shot that is worthy of a star and a charming scene at a political rally, beyond which he has little else to do. Prithviraj's job is to occasionally appear, look intimidating and disappear. The most criminal under-use of talent is reserved for Manju Warrier whose primary task is to hang around. As it is, there are hardly any women in Lucifer, even in crowd scenes. Those that are there are all shadows on the margins of the men's lives — never taking any initiative, but instead existing solely to be manipulated, abused, led, guided and/or saved by the men. The biggest mystery is why Prithviraj hauled Vivek Oberoi all the way from Bollywood for this role. Oberoi has barely lived up to the promise he showed in Ram Gopal Varma's acclaimed Company in 2002. He brings nothing to the only role in Lucifer other than Stephen Nedumpally that has been written with any degree of care. This casting decision comes across as part of a misinformed attempt to give Lucifer resonance in the north, towards which end even Shakti Kapoor — long forgotten by Bollywood — has been given a cameo, a Hindi 'item' number is added to the mix, and the end credits are accompanied by another Hindi song. Considering Prithviraj's stature in Mollywood, one of India's most respected film industries, the evident effort to attract attention elsewhere is quite embarrassing. (Spoiler alert) An episode of sexual abuse in Lucifer called for just a little bit more courage on the part of the writer who makes the perpetrator a stepfather rather than a biological father, (spoiler alert ends) but the fleeting reference to communal divides on the political landscape and the style makeover given to a political aspirant are all indicators of how much more this film could have been if the screenplay had stayed focused and probed deep, if the director had not been so anxious to impress. Lost in a cloud of Mohanlal-ness, pomposity, ineffectual characterisation and pointless extreme close-ups (including one very pronounced, rather irritating shot of Lalettan's hand), are a luscious-looking Kerala and a fascinating premise. Right at the start, the activist blogger Govardhan equates Stephen Nedumpally with Hinduism's Mahiravana, Iblis from Islamic mythology and Christianity's Lucifer from whom the title comes. Stephen himself says at one point that the greatest fraud perpetrated on the public has been the claim that politics is a battle between good and evil though it is, in his view, the greater evil versus the lesser evil. The two lines are tied in by repeated parallels drawn between Stephen and Lucifer, the fallen angel of Christian mythology, the one who rebelled against God, who in this film's universe is refashioned and repositioned as a "necessary evil". There is so much that could have been done with this intriguingly frank and realistic theory on the essentialness of evil — in politics and for human survival at large. What we get instead is Lucifer's transparent ambition that overwhelms everything else in this enterprise.